Beijing resident Wang Lihu, 37, still fondly remembers the first time he bit into a hot, crispy piece of KFC fried chicken. It was in 1987, the year when the U.S. fast food giant opened its inaugural restaurant in China, on Qianmen Avenue, nearby Tiananmen Square. It was the first time he tried what he calls "Western cuisine." "My parents agreed to bring me to KFC because I was sick. Since then, I had been voluntarily ill from time to time. But as soon as I was out of KFC, the illness was gone," said Wang, with a laugh. Feeling nostalgic, he recalls the long line of customers who used to stand in front of the restaurant and the smell of fried chicken that made his mouth water. Wang's experience is nothing unique. The first McDonald's restaurant in China opened in October 1990 in Shenzhen in south China's Guangdong Province. In one month, the outlet registered 226,000 transactions with a record turnover of 5.88 million yuan ($882,600). Qianmen's KFC restaurant, for its part, was able to recover its initial investment of 3.75 million yuan ($562,800) in just one and a half years. Observers believe that to a certain extent, this was the "golden age" of American fast food chains in China. They enjoyed immense popularity among Chinese consumers, who found an affordable way to experience a certain aspect of the Western way of life. Indeed, their success was driven by the craze for everything exotic and foreign, and had been one of the symbols of China's opening up to the outside world. But as globalization, reform and opening up picked up speed in China, U.S. fast food outlets lost their momentum. "Today, KFC is nothing special for me. Sometimes I do eat there, but only because its low price," said Wang. 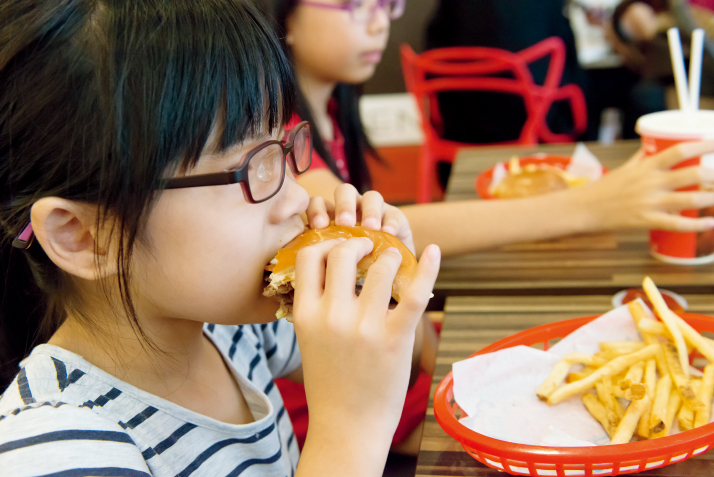 Independent food industry expert Zeng Hui also believes that "while the U.S. fast food outlets keep putting out new products and marketing campaigns, for Chinese consumers, one of their most valuable added values - the lure of curiosity - has been lost." Moreover, as Chinese pay growing attention to what they are eating; consumers are shying away from fast food outlets, whose products are seen as containing too much fat and sugar. As if this was not enough, the reputation of fast food chains in China has also been tainted by a number of food safety scandals. In July 2014, a TV report revealed that a supplier of Yum China - owner of KFC and Pizza Hut - used meat out of its expiration date. The fallout was not long in coming: Yum China's sales dropped 10 percent in the second quarter of 2015, more than the decline of 8.4 percent expected by analysts, according to market research firm Consensus Metrix. But according to Ben Cavender, an analyst with China Market Research Group, the biggest challenge for KFC or McDonald's comes from increased local competition, especially with the rise of online catering services. According to a report by Meituan Waimai, a food delivery firm, the value of China's online catering market reached 204.6 billion yuan ($30.7 billion) in 2017, up 23 percent year on year. According to Yang Wenjie, an executive at Meituan Waimai, this growth originates mainly from smaller cities, where there has been a faster increase in online food ordering compared to larger cities. This boom has also been boosted by the popularity of mobile payments: About 60 percent of Chinese people have paid for meals with their smartphones, according to the Chinese Cuisine Association. Struck by a series of scandals and facing ever fiercer local competition, foreign chains are betting on "localization" to regain lost ground. One of their assets is to add some local specialties to their menu to secure customer loyalty. That is how KFC's Beijing-style chicken rolls and chicken wings with rice came to be. Even McDonald's, whose status as the Big Mac King seems unbudgeable, could not resist this trend. In 2013, the hamburger giant launched four rice-based products for the Chinese market. Three years later, the Golden Arches adapted their menu by adding steamed breads and porridge, which are indispensable parts of a traditional Chinese breakfast. The localization strategy is not just about changing the menu. To reduce their operational costs, U.S. multinationals are turning to the local market to ensure their supply. When KFC entered China in 1987, it imported almost all raw materials from abroad, including salt. Nearly 15 years later, the supply localization rate had already reached 95 percent, with more than 1,400 products sourced from the local market, said Han Dingguo, then Vice President of Yum China, in 2003. In addition, the world's biggest fast food chains are now expanding their presence to small and medium-sized Chinese cities, often seen as great drivers of economic growth. In fact, these third and fourth tier cities will have 45 percent of McDonald's outlets in China by 2022, according to a statement released by the fast food group in August 2017. Meanwhile, the group's management confirmed its partnership with Chinese investment firm CITIC Group and U.S. investment fund Carlyle, who will jointly administer the McDonald's Chinese franchise. Analysts believe that for the Illinois-based group, franchising all of its activities in China, while keeping a minority stake, is a more effective way to develop its network in the Chinese market - seen as crucial - while consolidating its profits. McDonald's is not the only one looking for a new business model. Yum China also aims at becoming a pure franchisor. This shift will significantly reduce operating costs, and became imperative following the rise of local competitors, said analyst Ben Cavender.